Did you grow up dreaming of raising money for nonprofits? Probably not. But suddenly, there you are: the “accidental development officer.” You may be the executive director in a small shop for whom development is a central part of your job description; you may be someone who was doing communications or delivering the program, but now—gulp!—you’re the chief development officer; or you may be working at an organization dealing with shifts in funding, and—instead of relying on a few big grants—you need to raise money from new sources. This introduction to resource development will focus on the basics: where the charitable dollars are, and how you can attract them. Our presenters—longtime NH nonprofit leaders, now sought-after consultants—bring decades of experience to bear on the subject. The afternoon will be fun, informative, and interactive, and you’ll leave with the tools to do your job with greater confidence and effectiveness. 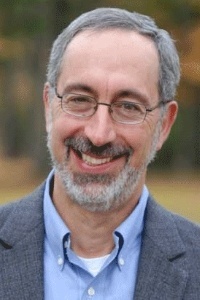 Alan is principal of Alan Cantor Consulting LLC, working with community-based nonprofit organizations on issues of resource development, strategy, and governance. Prior to starting his consulting business in 2012, Alan had thirty years of experience in New Hampshire nonprofits as an executive director, chief development officer, and planned giving director. Alan is a prolific writer and presenter on issues relating to the nonprofit sector, and he is a frequent contributor to the opinion pages of the Chronicle of Philanthropy and Inside Philanthropy. He has been cited in The New York Times, Barron’s, Pro Publica, The Boston Globe, and other publications. 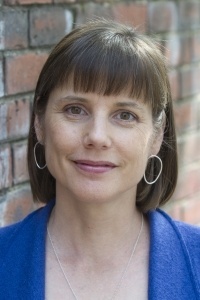 Betsy McNamara is a Principal of Full Circle Consulting, offering clarifying, down-to-earth solutions to nonprofits ready to reach the next level. Betsy has been fundraising for nonprofit organizations since 1988 and has raised tens of millions of dollars for organizations in education, human services, affordable housing, the arts, and land conservation. Betsy serves on the board of the NH Community Loan Fund and Community Bridges and is a past board member of CONFR and the New Hampshire Coalition against Domestic and Sexual Violence.